John Kay’s column in the Financial Times yesterday uses the episode with the Swiss franc as a reminder about model risk. CSI: prop trading investigation squad. Does JP Morgan’s derivative portfolio hedge its other lines of business? This picture says ‘no’. FT Alphaville has been running a series of blog posts digging in to items raised in the investigation of the fiasco at JP Morgan’s Chief Investment Office. The series is called The Belly of the Whale. Today’s entry is a must read for anyone who has tried to “control” traders using quantitative risk measures. It’s all about gaming government capital rules. But shouldn’t any corporate officer who has to manage teams of traders have to worry about similar games being played? JPMorgan’s management released its Task Force Report (Report) on the trading losses at its Chief Investment Office (CIO). It’s very clearly written tick-tock and provides a good account of how various controls broke down. 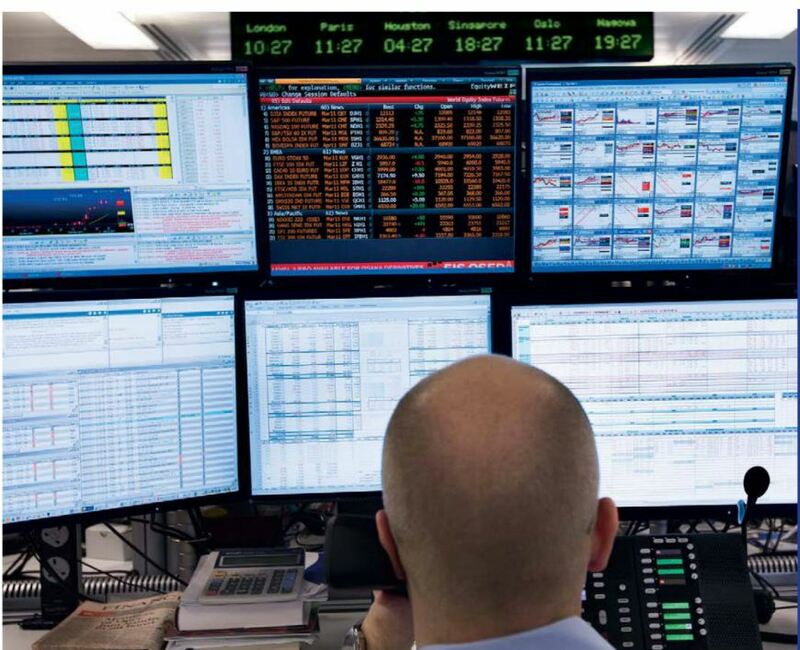 Taking for granted the task assigned to the traders running the CIO’s Synthetic Credit Portfolio, the report outlines where things went wrong. As an accident of timing, the losses were first disclosed in the midst of a public debate about the Volcker Rule’s prohibition on proprietary trading at banks. So, for the public, the case became a test of whether the proposed regulations implementing the Volcker Rule had any teeth: would they prohibit the trades being done at JPMorgan’s CIO once they came into force? 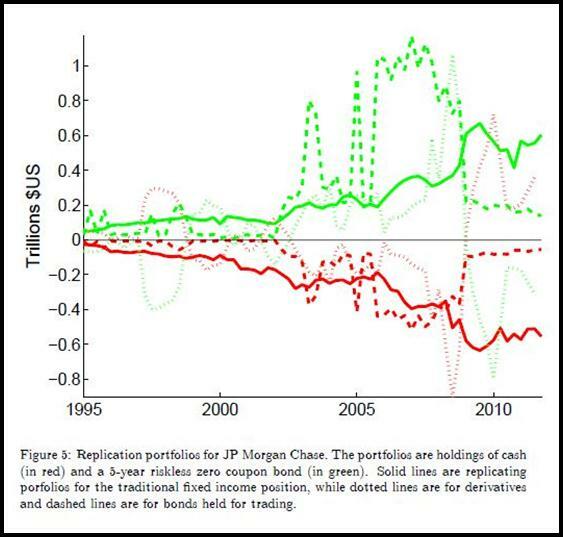 Management has always contended that the Synthetic Credit Portfolio was run to hedge the bank’s natural long position in credit risk, and that it was not proprietary trading and would not be prohibited under the Volcker Rule. That contention is repeated summarily in the Report when it gives an introductory overview of the Portfolio’s origin and operation. But, the contention is never actually substantiated: indeed, the Report does not purport to address the prop trading question directly. There is much in the Report that would lead a reader to doubt management’s contention and to conclude instead that the Synthetic Credit Portfolio was a classic example of prop trading. A key forensic test for distinguishing prop trading from hedging is the compensation criteria. A hedger’s success is not measured by his or her own profit and loss on the hedge trades. Instead, a hedger’s success is measured by how well his or her own profits and losses track and set off the losses and profits on the assets being hedged. The metrics for performance on hedging should incentivize minimizing net risk. The metrics should measure net risk reduction. When the desk reports big profits — after netting out the matched positions — that’s a bad sign, not a good one. The JPMorgan Report strongly suggests that the traders on the Synthetic Credit Portfolio expected to be rewarded on their own profit and loss, not on how successfully they hedged the bank’s natural long position. That compensation system fits prop trading, not hedging. The Report does briefly consider the wisdom of the compensation scheme, but not from the perspective of the Volcker Rule and identifying prohibited activities. Instead, the Task Force was just concerned with the question of whether the profit and loss criterion was overvalued to the exclusion of other criteria management imposed on the unit. So, it looks as if JPMorgan’s CIO, and its Synthetic Credit Portfolio provide a useful test case for the Volcker Rule going forward. The original regulations proposed for implementing the Rule did include an assessment of compensation criteria. Whether that will continue in a final rule is yet to be seen. And then comes the question of enforcement. Is wholesale power trading as profitable a line of business as they say? The banks had the balance sheet, but the reality was it was the taxpayers that were giving them the balance sheet. It’s not clear we want the taxpayer subsidising proprietary trading in electricity or even hedging in electricity. I am very circumspect about whether power trading operations are as profitable as they are often advertised to be. Here’s one reason why. Liam Denning at the Wall Street Journal has a nice piece today on why Chevron has chosen not to hedge its apparent exposure to fluctuations in the value of the Australian dollar. The apparent exposure arises from its Gorgon liquefied-natural-gas project. Sales of natural gas are denominated in US dollars, but a large fraction of Chevron’s costs at Gorgon are denominated in Australian dollars. Let’s look at the project’s value measured in US dollars. How are they exposed to fluctuations in the exchange rate between the Australian dollar and the US dollar? A mechanical sensitivity analysis will show the US dollar costs fluctuating as the exchange rate fluctuates, while the US dollar revenues will be constant. That creates the apparent exposure. 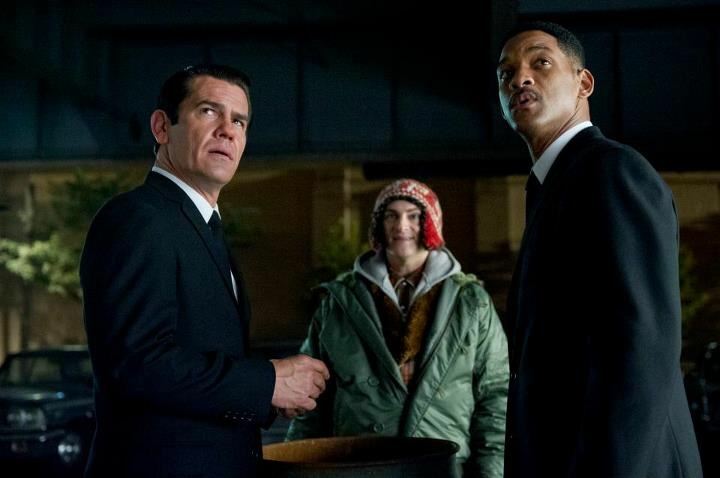 The third installment of the feature film series Men in Black features the alien Griffin. Griffin possesses the critical ArcNet shield that can protect the earth against the impending Boglodite invasion. Griffin also possesses an amazing superpower: he can see the many possible futures in store for us. The movie’s writers, director and the actor playing Griffin, Michael Stuhlbarg, exploit this superpower to great comedic effect, first in a scene that takes place in 1969 at Andy Warhol’s Factory, and then later at Shea Stadium where Griffin visualize’s the Miracle Mets’ entirely improbable victory in the World Series later that year. Griffin’s superpower goes an important step further, and this is a key to how the comedy is written. Not only does he see the wide array of possible futures, but he understands, too, which futures are consistent with events as they play out, and which futures are suddenly ruled out by current events. He sees what mathematician’s call the filtration. The finance lawyer who blogs at Economics of Contempt has a very nice summary of what is required for JP Morgan to claim that the trades at the CIO unit are allowed under the Volcker Rule because they were “portfolio hedging”. It is a more comprehensive and textual version of our requirement that JP Morgan “show me”. JP Morgan’s $2 billion loss on credit derivatives traded by its Chief Investment Office (CIO) has moved the debate over implementation of the Volcker Rule to the front page. Many claim that these trades are a clear example of the type of speculative, proprietary trading banned by the Volcker Rule. JP Morgan CEO Jamie Dimon insists otherwise, claiming the trades were intended as a hedge, which is clearly permitted under the Volcker Rule. Public discussion on the matter is confused, in part because many people are unclear about what defines a hedge and what defines a speculation. Who can blame the public when the premier vehicles for speculative trading are known as hedge funds? Moreover, the current battle over financial reform and the Volcker Rule gives bankers an incentive to escalate the confusion. They want to continue their speculative trading, and that can only be done by labeling it either hedging or market making. Clarity is not their ally. When regulators, legislators and pundits advocate bright line tests for hedging, these bankers ridicule them as simpletons, accusing them of applying a dangerously unsophisticated understanding of financial markets drawn from a bygone era. These simpletons, they complain, fail to grasp the complexity of the modern world that bankers are tasked with mastering in order to serve the needs of society. So, in order to try to make some progress and gain some insight from the JP Morgan case, let us first step back from the details of the current trades and losses, and from the debate over the Volcker Rule, and instead gain some clarity on the concept of hedging. Then we can double back and analyze the JP Morgan case in light of a sensible notion of hedging. 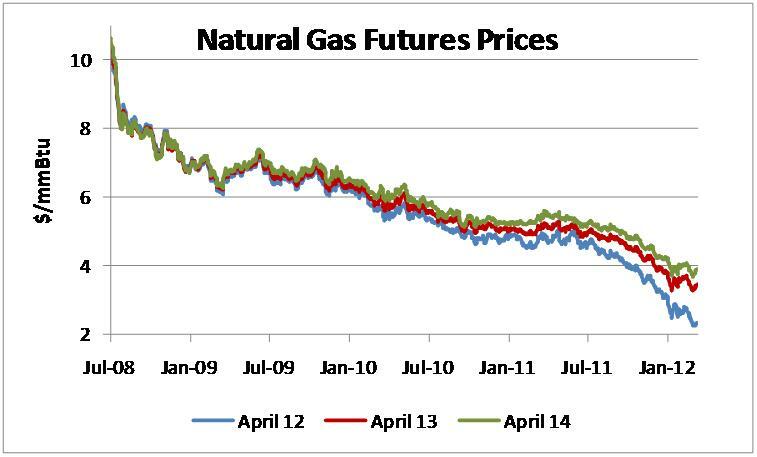 Over the last few years, natural gas prices in the U.S. have been pounded by a variety of factors. Front and center are the continuing breakthroughs in horizontal drilling and hydraulic fracturing. On top of this, the winter of 2011-2012 was the fourth warmest on record, according to the National Oceanic Atmospheric Administration (NOAA), and those temperatures slashed demand. From a peak of over $13/mmBtu in July 2008, the price fell to almost $2/mmBtu in March 2012. How much of the price drop has been due to which factors? Of course, the answer to that question is anybody’s guess, and no one’s guess can be hazarded with too much certainty. But the term structure of futures prices is a good distillation of the opinions of many market participants. Anyone trying to comment on market movements would be well advised to be informed on how the whole term structure has shifted, and not just on how the spot price has moved.